A group of Faversham Sea Cadets had a day’s sailing on board a traditional sailing barge in October thanks to the Kentish Sail Association. 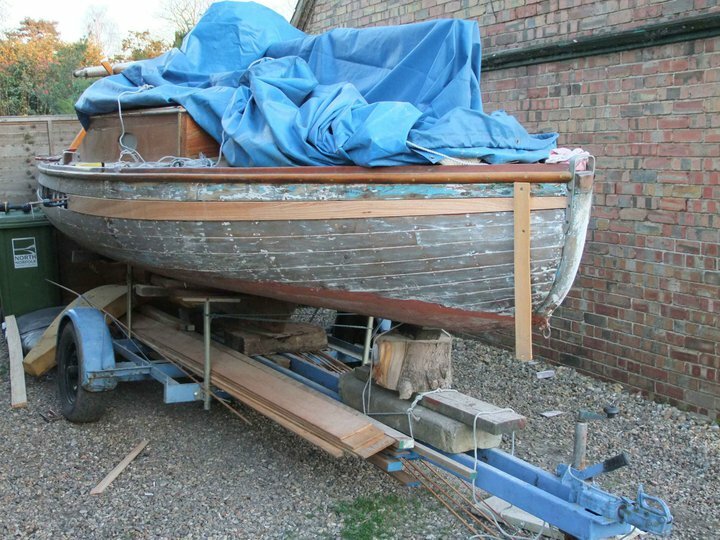 The KSA is best known for organising the Swale Match each year, but getting youngsters afloat in traditional vessels in order to ‘introduce and encourage youngsters in the handling of traditional sail’ is also one of the organisation’s main aims. 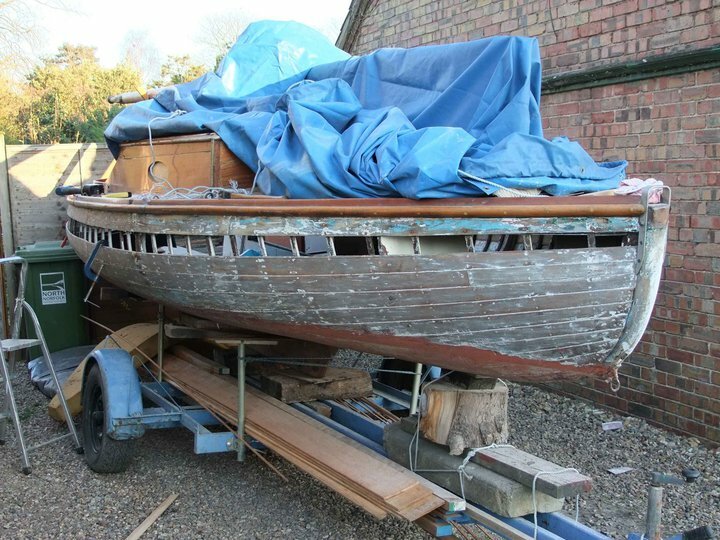 The barge chartered for the purpose was the Greta. Strong winds were forecast but I gather the cadets were keen to get sailing and skipper Steve Norris decided to head out of Whitstable Harbour on the clear understanding that if the wind got too strong he would turn and run back in. In the event they had a wonderful morning on the water: Steve got the boys setting the big sails, with even the smallest getting involved in heaving on the ropes, and they also took turns at the wheel. Another development is the 2012 KSA calendar, which is now available. It features a selection of photos from last year’s Swale Match and a couple from earlier occasions. It’s available from outlets in Faversham, such as the chandlery at Iron Wharf, but can also be ordered by mail, priced at £10, plus £2 for post and packing in the UK. 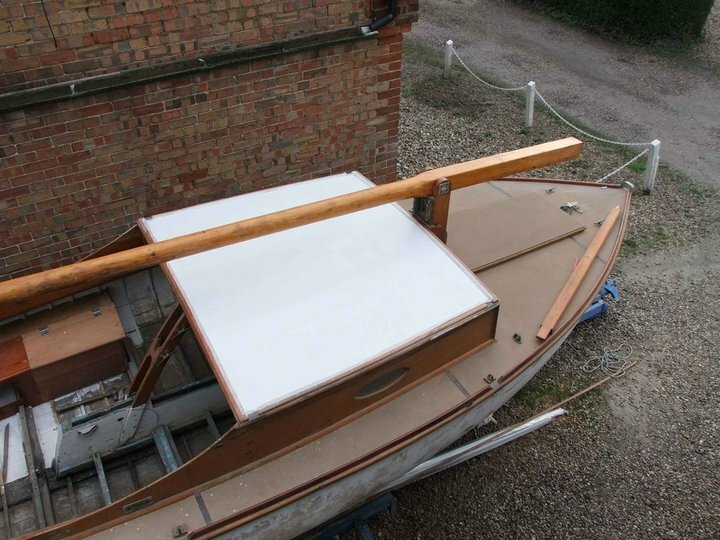 Write to KSA, 13 Abbey Street, Faversham, Kent ME13 7BE, making the cheque out to the ‘Kentish Sail Association’. The dry dock photo from Bremerhaven harbour above shows what can happen when these treasures of industrial archaeology fall into utter neglect. 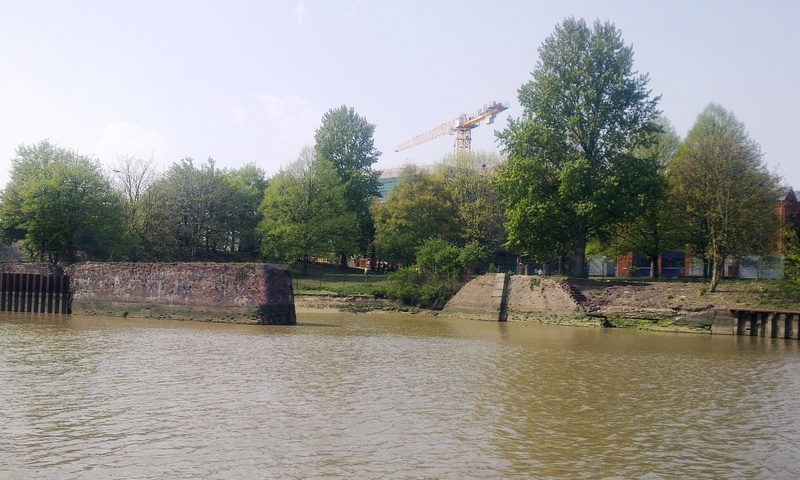 No doubt the folks of Appledore will take careful note, and perhaps these photos will also seem relevant to those interested in the future of Faversham Creek. 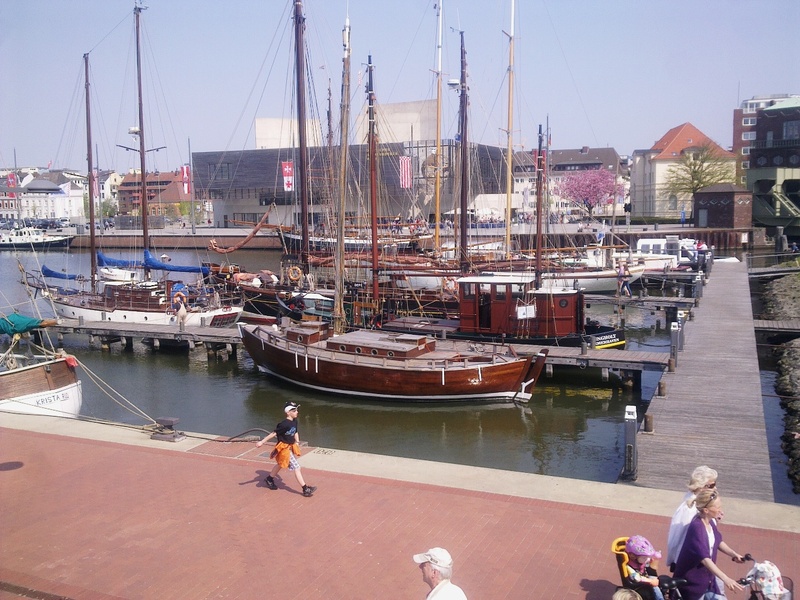 ‘Last week I have been on a short trip to the port of Bremerhaven. 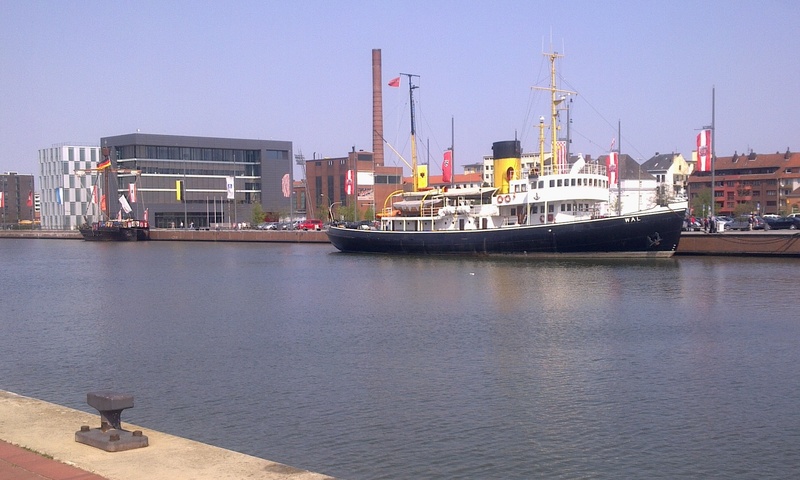 It was founded in the 19th century, when the River Weser became so severely silted that the original port of Bremen could not be reached by seagoing vessels. ‘Soon it became a thriving coastal town, with famous shipyards like Vulcan, Lloyd and Tecklenborg. Later it was the centre of German high sea fishing. But changing times claimed their toll and by 1995 nothing was left, the yards were bankrupt, the fishing industry was gone and unemployment was soaring. 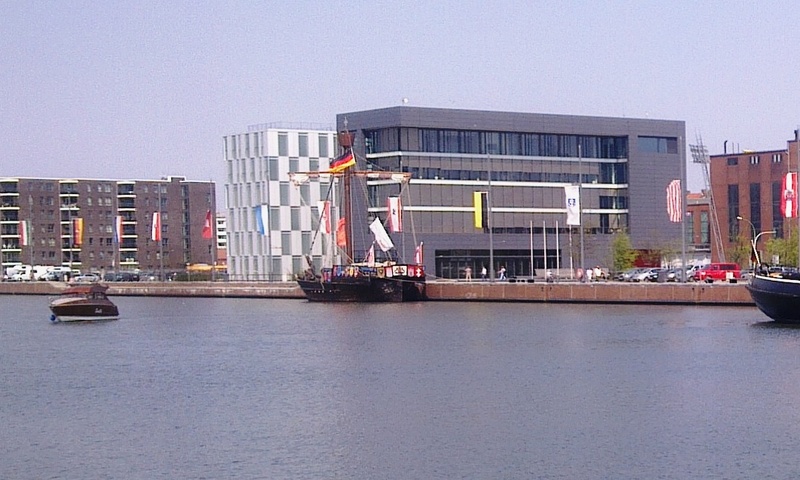 ‘Now it has been developed somewhat, with the Deutsches Schiffahrtsmuseum (our national maritime museum), the Klimahaus (which is devoted to the subject of the world climate) and the Columbus Centre. It is also a great rallying point for traditional wooden boats and historic ships, as you can see from the photos [below]. 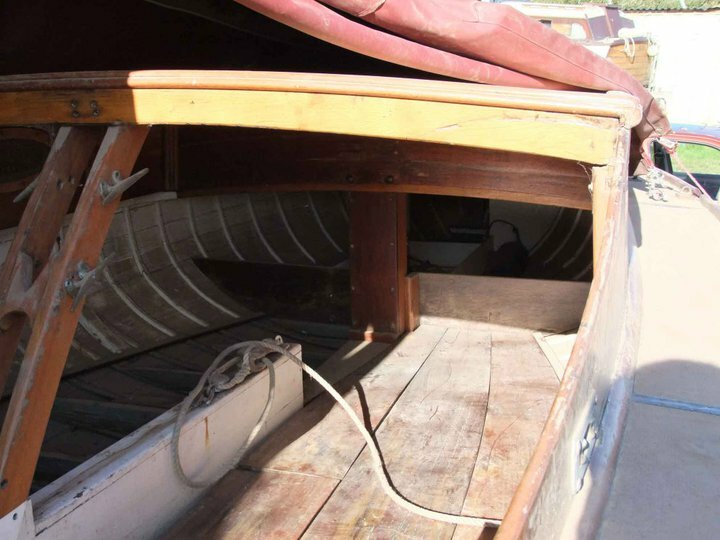 For more on the Graf Ship Association, zompen, tjalks and the rest, click here. 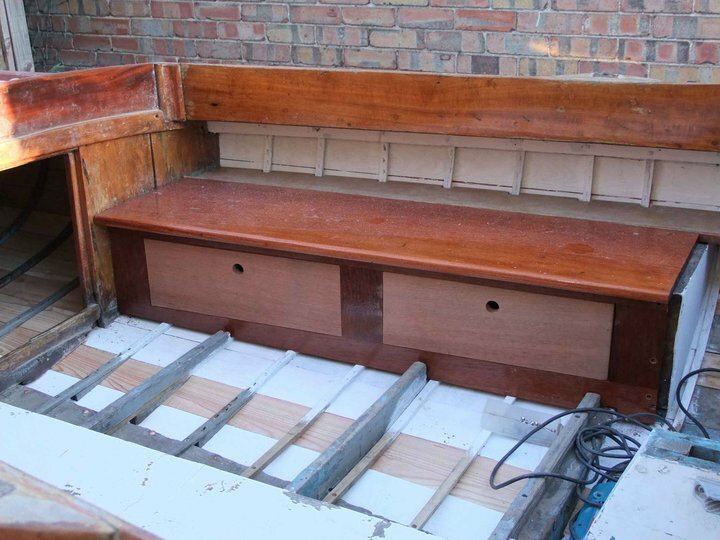 Joe Farrow has kindly sent in an update of the progress Mat Gravener has made in restoring and repairing the Norfolk Broads half-decker Jamesia II. As usual, click on the photos above for bigger images. 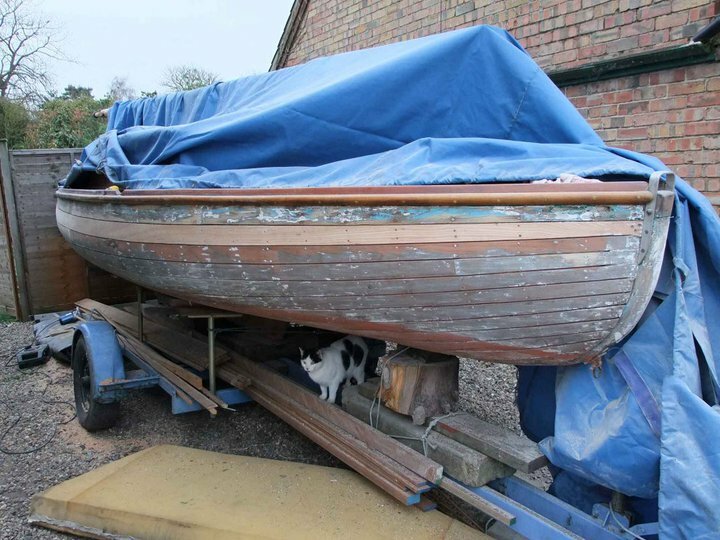 For an earlier post about this boat, click here, and for a post about Mat’s earlier restoration of a Broads sailing cruiser, click here. 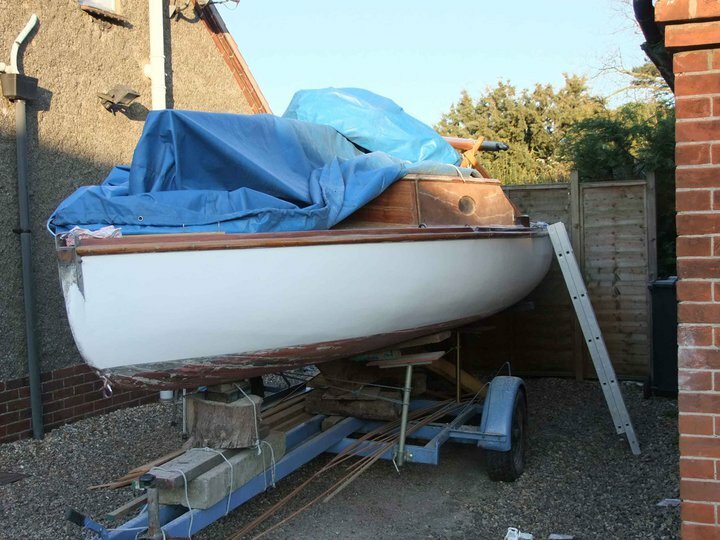 I gather Jamesia will be afloat and sailing in a week or two from now, and Joe has promised to take some photos for us. et voila! One new plank! 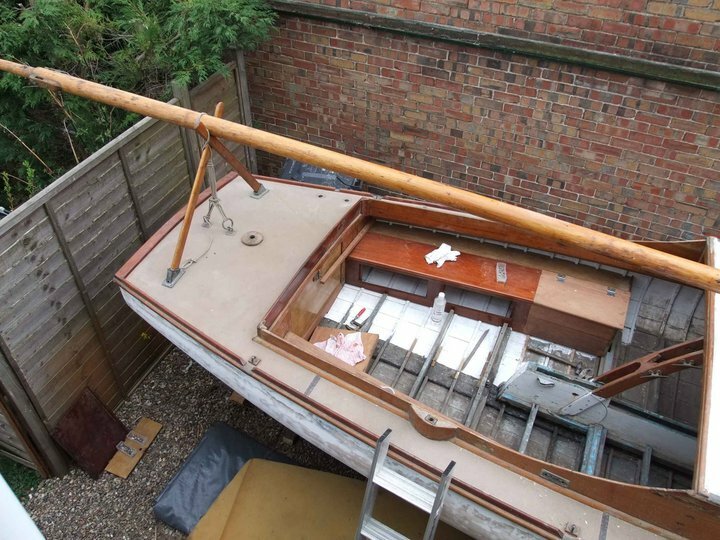 plank all scarfed together, and fastened in place. 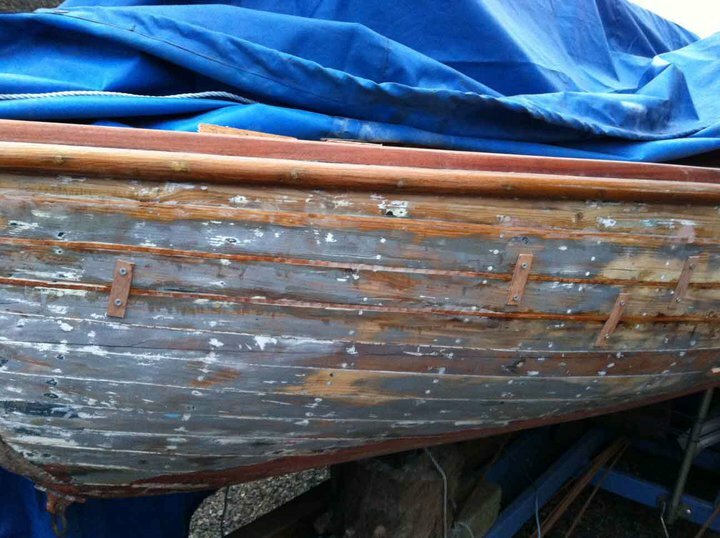 the hull filled and faired, and given three coats of undercoat.